"Scientists are preparing to carry out a DNA comparison of a small ocean-roaming seabird which is expected to show that it is a 'resurrected'…"
"Eight endangered bird species have found a guardian angel on a remote island in the Chatham Islands - the Department of Conservation." "Go to Manukau Point at the southeastern tip of Chatham Island ... and you have reached the edge of the Earth..."
"The emergency evacuation of parrot chicks from a South Island forest has critics asking whether the birds will become permanent refugees from the mainland." "Just 15cm tall and limited to land masses in the Chatham Islands group, the Chatham Islands black robin remains on the endangered list." "A Whangarei ornithologist who rediscovered the rare Chatham Island taiko may have discovered a new way of attracting the endangered birds for research..."
"Seven eggs from the nest of a South Island parakeet have given conservation staff something to smile about." "New Zealand's conservation agency is facing its most serious extinction in two decades." "Yet more good news on the breeding front for native birds, this time for another endangered parrot, the orange-fronted parakeet." "Twenty-four young black stilts (kaki) have been released at South Canterbury's Lake Tekapo as part of a joint DoC and Otago University project to save the bird…"
"The Department of Conservation has announced that a new species of native bird has been identified." 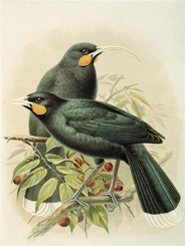 Looking at the endangered status of New Zealand birds is an insight into how tenuous their existence is, their significance in the unique edge ecology of the country, their resilience to be able to come back from the brink of extinction with protection from introduced predators, and the innovative techniques of conservation biologists to save them. Nine native birds are 'critically endangered' on the 2006 IUCN Red List of Threatened Species. Of these nine species, five are 'nationally critical', two are 'nationally endangered', and one is in 'serious decline' in the 2005 New Zealand Threat Classification System. Another 17 birds are 'nationally critical', of which 12 have varied Red List status. Four species that were declared extinct have been rediscovered, and a snipe is a new discovery. 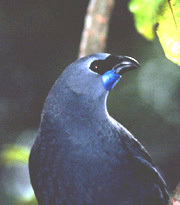 Seven of the listed birds are endemic to the Chatham Islands, and 14 are found only on offshore islands. The number of orange-fronted parakeet plummeted 75 percent in three years, after it was declared a separate species in 2001. It has very quickly become one of New Zealand's most critically endangered birds. Only 100-200 birds remain in two valleys in Arthurs Pass National Park and Lake Sumner Forest Park in North Canterbury. Birds have been translocated to predator-free Chalky Island in Fiordland where it was found to be breeding in 2006. Kaki are a wading bird endemic to New Zealand, with all black plumage and long skinny red legs. When Europeans settled, kaki were common throughout the country's rivers and wetlands. As rivers were channelised and wetlands drained, and introduced predators spread, their total number dwindled to a low of 23 by 1981. Kaki are now restricted to the rivers and wetlands of the Mackenzie Basin in South Canterbury. They have been intensely managed since 1981, and captive breeding and release has increased the population. The taiko, also known as the magenta petrel, is endemic to the Chatham Islands. It was thought to be extinct for 111 years before David Crocket miraculously rediscovered it in 1978. It was nearly another decade before the first burrow was found in 1987. The Chatham Island taiko is one of the world's rarest seabirds and one of New Zealand's most critically endangered species, living on the very brink of extinction with a population of less than 150 birds. The cause the Chatham Island shag's decline is not known. 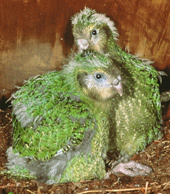 It is endemic to the Chatham Islands group, and only breeds in a total area of one hectare on three islands. There are small colonies at Manakau Point on Chatham Island, and on Star Keys Island and Rabbit Island. Because of the small population, the status of the Chatham Island shag on the IUCN Red List was upgraded to 'critically endangered' in 2005. The mollymawk which is also known as the Chatham albatross, is one of two albatrosses in the world that is 'critically endangered' on the IUCN Red List. It only breeds on Pyramid Island, a small rock outcrop in the Chatham Islands. During the breeding season it is mainly found within 300km of the colony along the continental shelf, while at other times it disperses west to Tasmania, and east to Chile and Peru. The 11,000 bird population shows little sign of decline, however, the island habitat has been damaged by storms, and the mollymawk is vulnerable to longline fishing. The following 10 birds are listed in the 2005 New Zealand Threat Classification System as 'nationally critical' which is the most critically endangered status. These species have various IUCN Red List classifications, or are not Red Listed, as shown in the right column. The white heron is a rare bird in New Zealand, and was almost lost because of the demand for feathers for women’s hats. The New Zealand population is at the extent of the E. alba modesta subspecies range, which also includes India, China, Japan and Australia. 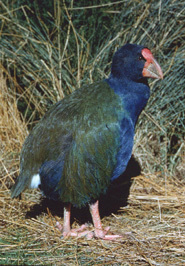 It is seen on rare occasions throughout New Zealand, but its' only breeding site is on the banks of the Waitangituna Stream at Okarito in South Westland where it was discovered in 1865. There were only four nests in 1941 at Okarito, however, since the area was declared a reserve and nesting was protected, numbers have stabilised with a population of 100 to 120. A tiny population of Campbell Island snipe was discovered in 1997, during a search for teal on Jacquemart Island, a 19ha inhospitable rock stack 1km off Campbell Island. Jacquemart is New Zealand's most southern piece of land in the Southern Ocean. The first naturalists that landed on Campbell Island in 1840 found no land birds - all of them had been wiped out by rats that got ashore from shipwrecks. After rat eradication on the main island in 2001, snipe have returned naturally, with about 30 birds found during the summer of 2006. 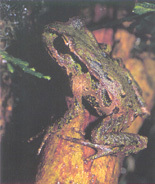 The parea is found in the Tuku Nature Reserve and in forest remnants in the Chatham Islands. The number of birds got as low as 40 in 1986. Parea made a remarkable recovery, mainly because of predator and hunting control, and by 1996 there were about 200 birds. H. chathamensis is distinguished by its larger body size, shorter wings and tail, and other appearance and structural differences from the mainland pigeon H. novaeseelandiae which is more prevalent throughout New Zealand and is listed as 'gradual decline'. H. chathamensis is endemic to the Chatham Islands, and is found on South East Island, Pitt Island, Mangere Island, and Chatham Island. The population in 1998 was down to about 150 birds. After a more intensive management programme of 16 oystercatcher territories was introduced in 1998, that involved predator control, nest relocation and monitoring, and dune restoration, the population doubled by 2004 with 88 breeding pairs and a total of 311 birds. A population of only 130 critically endangered shore plover, a small wading bird, was all that remained on Rangatira (South East) Island in the Chatham Islands, until 14 chicks were hatched from eggs taken off the island to Mt Bruce in 1991. The captive breeding programme got an incredible boost when birds bred just one year later. Eight captive-bred shore plover were translocated to Motuora Island in the Hauraki Gulf as a trial in 1994, and another 50 birds have since been transferred to the island. 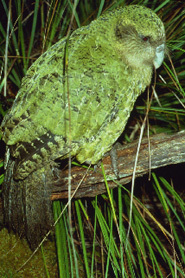 The C. obscurus obscurus subspecies survives on Stewart Island with a population of about 200 birds. This group is remarkable for a shorebird because it nests on mountain tops. The Northern subspecies C. obscurus aquilonius nests just above the high tide mark of sandy beaches on the west and east coasts of the northern half of the North Island. Its status is 'sparse' but its' exposed nests are most vulnerable, and only a total of about 400 flock at 7 locations. A few of the South Island subspecies of brown teal survive in Fiordland. Fossil records show that brown teal once occupied a wider range than that of any other New Zealand anatid. 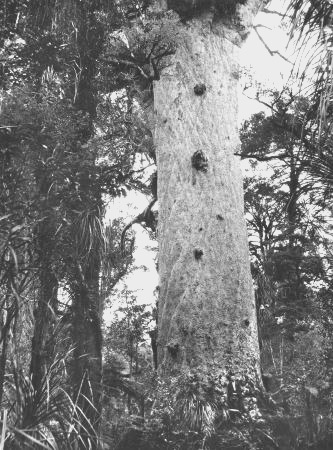 Habitats were as diverse as coastal dunes, lagoons, lakes, waterways, kahikatea swamp forests, wet rimu forests and matai forests in low rainfall areas. The areas occupied ranged from Stewart Island marine habitat without freshwater, to silver beech and dry mountain beech forests up to an altitude of 800m. Red List classifications are for species only. NZ classifications are for species or subspecies. Nine of New Zealand's native birds are listed as 'critically endangered' on the 2006 IUCN Red List of Threatened Species, and one has recently been downgraded to 'endangered'. This is very high for such a relatively small country. Seventeen United States birds, including many Hawaiian birds, are Red Listed as 'critically endangered' in a land area that is 36 times greater than that of New Zealand. There are a total of 181 birds on the IUCN Red List classified as 'critically endangered'. The number of countries or locations identified in the list is 240. Permission of the Alexander Turnbull Library, Wellington, New Zealand must be obtained before any re-use of this image. Copyright © 2007-2008 TerraNature Trust. All rights reserved.